The goal of the Research Support Core is to develop and provide genetic tools, disease models and behavioral analysis to dissect PV neuron development and function as well as their dysfunction in ASD. These unique resources will be available not only to the investigators at this Conte Center but also to the whole neuroscience community. In the past 10 years, my laboratory has developed many cell type-specific transgenic mouse tools. These include transgenic mice for Single-neuron Labeling with Inducible cre-mediated Knockout (SLICK), cell type-specific optogenetic mice for manipulating neuronal activity, Thy1-GCaMP3 mice for monitoring neuronal activity, and PV-Tdtomato mice with fluorescently-labeled PV neurons. In addition, we have developed several animal models of neurodevelopmental and psychiatric disorders including SAPAP3 model for repetitive behavior, Shank3 models of ASD and schizophrenia, and Ptchd1 model for neurodevelopmental disorders. Some of these genetic tools and models will become an integral part of Conte Center projects. Although the ability to genetically modify the mouse genome has revolutionized biomedical research, rodent models for brain disorders have their limitations due to the inherent differences in the structure and physiology of the brain between rodents and humans. 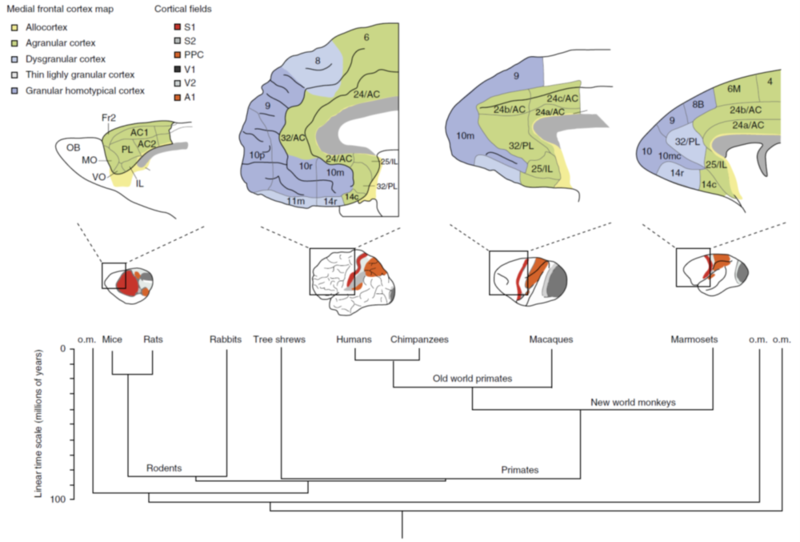 In particular, the prefrontal cortex is one of the largest and most developed portions of the human brain, and it is a top candidate for pathological processes in psychiatric disease. Yet, rodents have only a rudimentary prefrontal cortex and do not exhibit some of the complex cognitive functions that are mediated by this region in humans. Thus, expanding studies of cortical PV neuron function and dysfunction to primate models and human cellular models will be an important step towards better understanding of the neurobiological mechanisms of these disorders.